Do you drink coffee in the morning too and wondered if there is something else we can do with those coffee grounds? 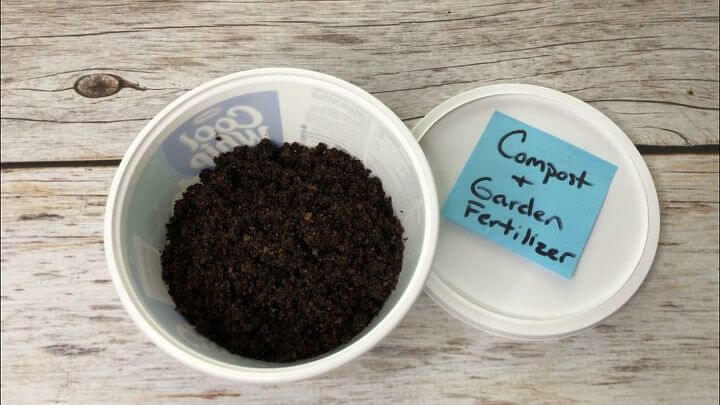 I did some research on helpful ways we can use coffee grounds around our house and wanted to share them with you. Coffee is a great odor eater. 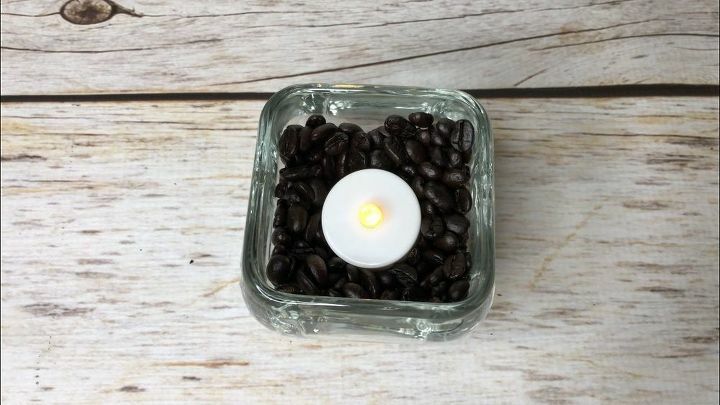 Place some beans and a fake tealight in a candle holder and use it to deodorize places like bathrooms, family rooms, offices, etc. 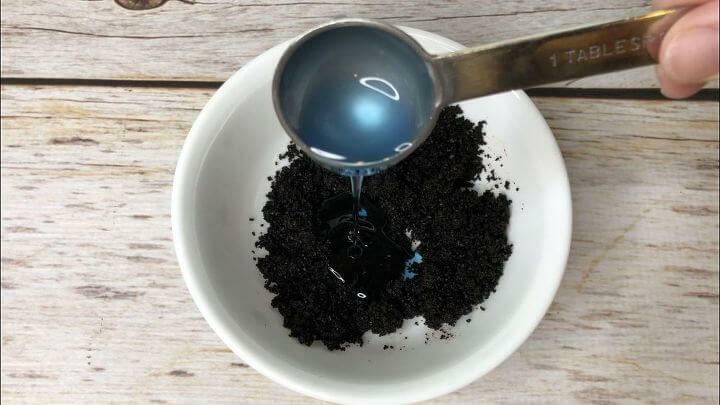 Mix 1 Tablespoon Dawn with your coffee grounds. Use it to scrub up cook tops, dried food on counters, and more. 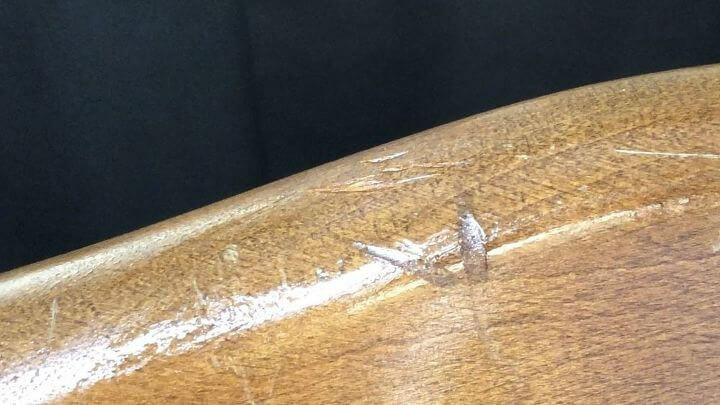 Be careful if you have a porous surface counter as coffee can stain. 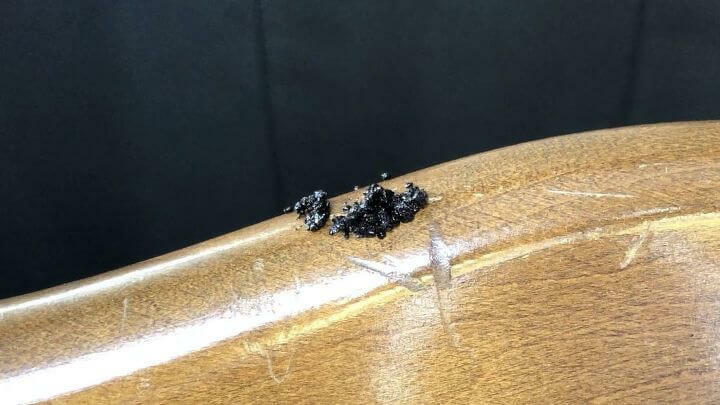 Use the multipurpose cleaner to get baked on food off of pots, pans, and dishes. 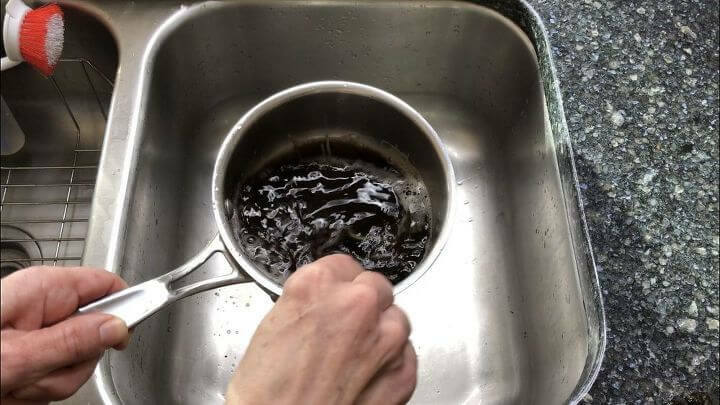 Start by soaking the pot with a 1 Tablespoon of the mixture and enough water to cover the bottom. Let that soak for 30 minutes (or more for really tough baked on food). Use a scrub brush to lightly scrub, dump out and rinse. You might find a little extra still in the pan. So scoop 1 Tablespoon of the mixture into the pot without adding water. 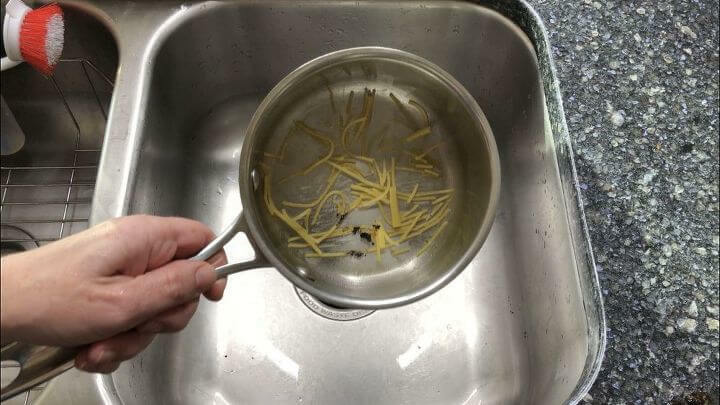 Use a scrub brush and scrub up the remaining burnt on substance. 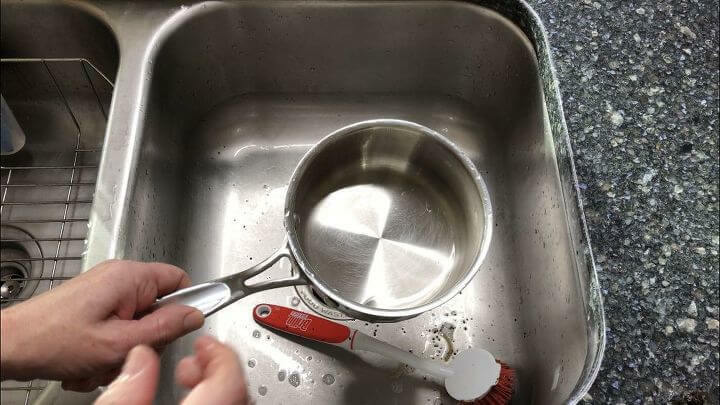 Rinse out and your pan will be clean. 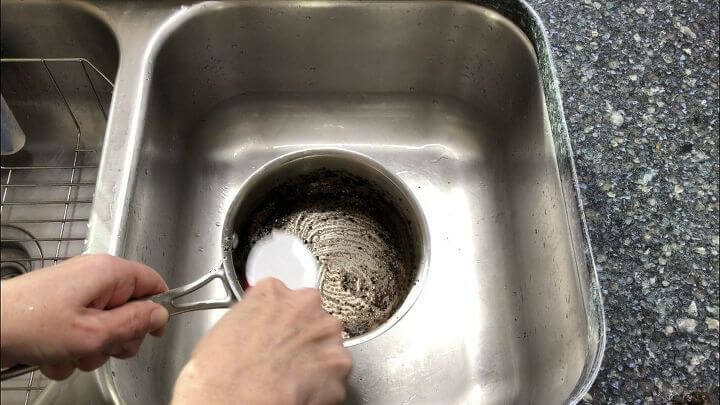 Use the multipurpose cleaner and a scrub brush to clean your sink. Rinse and it’ll sparkle. 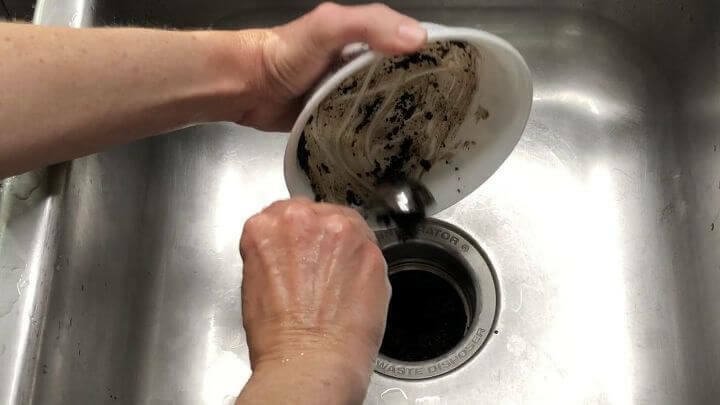 Pour your coffee grounds into your garbage disposal. 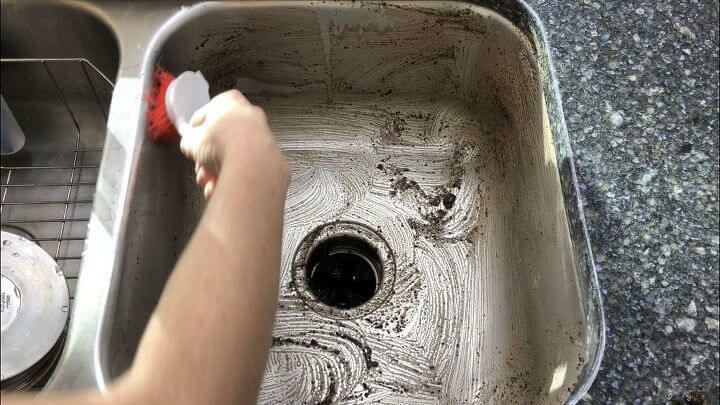 Run the disposal and it will clean and deodorize it. 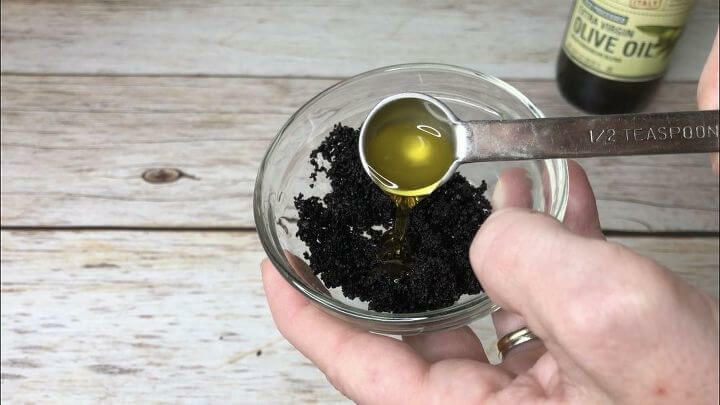 Mix 1/2 teaspoon olive oil (or oil of your choice) with coffee grounds. Rub the mixture on your hands, then rinse off. The mixture will exfoliate and moisturize your hands. 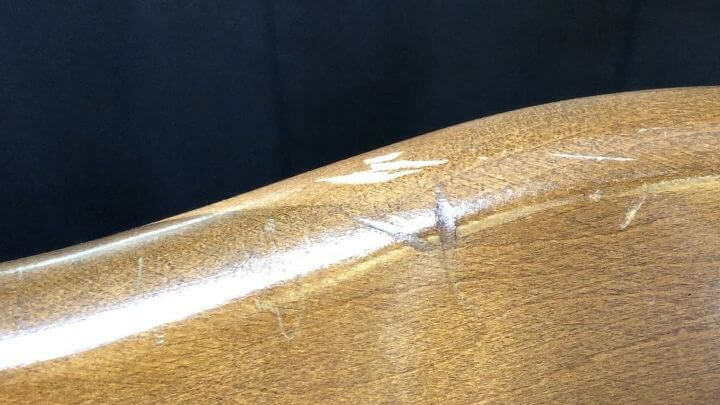 To use the wood scratch dye… here is a before picture of the scratch. Place the mixture on top of the scratch and let sit for a minimum of 10-15 minutes. Wipe off and check it, if you like the results you can stop there. If not, you can repeat the process until you get the look you want. 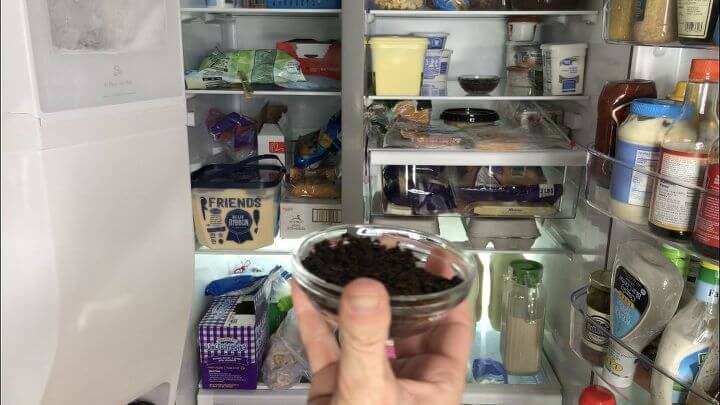 Place coffee grounds in a container and put in your refrigerator and freezer to deodorize them. 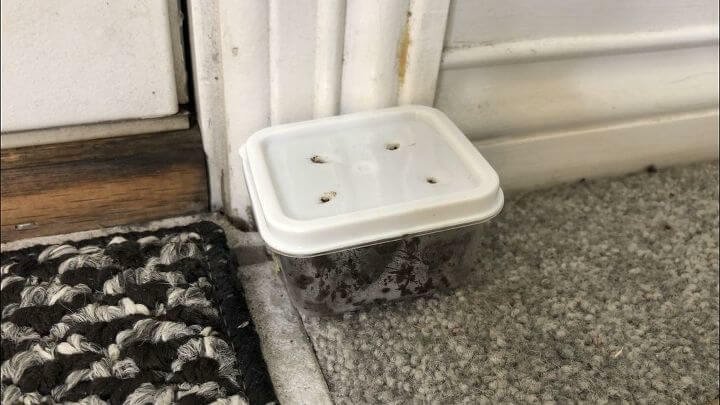 Place some coffee grounds in a container and poke holes in the top. Many bugs and rodents don’t like the smell of coffee. You can use them as compost and put them in your garden later. They also repel the bugs, slugs, and more in your garden. 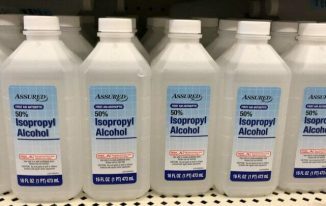 You can use it in your indoor and outdoor plants as a fertilizer. *Coffee is acidic so be sure the plant you put the compost around likes acidity. If you are using it as a bug barrier – you can make a wide circle around plants that like less acidity to keep it away from the roots but keep the bugs away. Learn more about “Why to Deep Clean and Organize Your Home” to save money, function better, and keep your sanity. My video with Hometalk coming soon! Love these ideas, but are these used coffee grounds or fresh? Thank you and great question Lorraine. 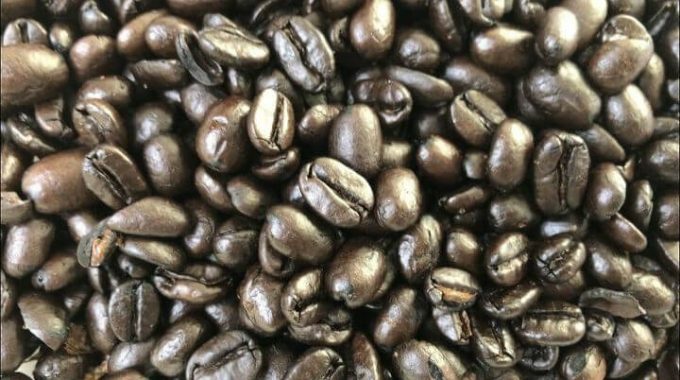 So the coffee beans are fresh, but most of the coffee grounds used for cleaning are left over from our morning coffee 🙂 You could use fresh ones from Dollar Tree if you are not a coffee drinker. Thank you Chas. Hope you are feeling better. I can relate to headaches, get them everyday!!! Love the use of coffee ideas, especially the one for cleaning to stove top. How are you feeling this week and are you out of the hospital. Maybe you have started therapy. So great to have ideas for putting all those coffee grounds to work in our homes! 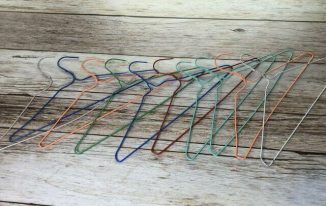 Thank you so much Michele – I love finding ways to reuse things and cleaning with them is always a bonus. Thank you so much Margy for sharing that. 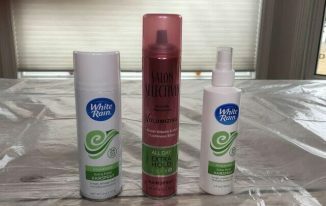 I had learned they are good for the garden when I was working on this post so I’m excited to try it this spring. Lots of useful ideas for using up coffee grounds. I’m going to try the composting idea for my roses after drying them so that the snails and slugs don’t eat any more of my roses! Thank you so much Priya, and I’m thrilled you want to give it a try in your garden too. I am so ready for spring to come and get into the yard. I knew about the room freshener Chas but had no idea about the other uses. Pinning for future use. Thank you so much Mary for the Pin. I was so thrilled to research all of these options and not use them. So many great ideas here! Well those are all wonderful ideas and I learned of a few new ideas to use those coffee grounds. Thanks so much. I am definitely a fan of coffee and now to have a few practical uses for them is even better. Thanks! Coming over from Senior Salon. Thank you so much Beth and I’m thrilled there are a few ideas here you might want to give a try. Coffee is delicious isn’t it? Thanks for stopping by. Great post, Chas, once again. When I lived in Kazakhstan, I went to the local banya (public baths) with my teacher colleagues. The first time, I brought with me some ultra swanky exfoliant I’d brought from home (USA). My colleagues used coffee grounds (fresh, dry). We exchanged. I’ve never gone back to buying exfoliant; the coffee grounds worked so much better. AND I didn’t mix them with olive oil. Just the water from the showers. I also put used coffee grounds on my blueberry bushes (they love acid). Be careful which plants you use them on; they must be acid loving plants. I’m saving all our grounds in a 5-gallon jug in my mud room until spring. Now I know why I don’t see any mice out there. Thanks for that one. AND for all the other great ideas. Do warn your readers though about that acid soil/compost issue. Thank you so much Janet, and I so very much appreciate you sharing your story. Love that you have been using coffee as an exfoliate and love learning how you came to learn about it too. What an amazing experience. Thank you for sharing the tips about the acidity in the soil, that is a very good point. Oh my gosh, these are brilliant! We are big coffee drinkers, and so there are always coffee grounds at my house in the morning. I love the ideas for cleaning the garbage disposal, the garden compost, and the bug repellent. Thanks so much for sharing at Sweet Inspiration! Thank you so much Amy. Coffee is great isn’t it? 🙂 I’m excited you want to give a few of these a try and thanks for stopping by. Thanks so much for the tips. I use coffee grinds in my garden, but never for cleaning. I love the idea of using them in my garbage disposal too. Thanks for sharing on Sunday’s Best. Thank you so much Rhonda, and I love that you are using them in your garden too. I am excited there are a couple new ideas you’re interested in, thanks for stopping by. Thank you Carol and thanks so much for sharing that tip about tea leaves being good for fertilizer. I will start saving those as well. These are some interesting ideas for reusing coffee grounds. I usually use mine either in the garden or as a body scrub. Thanks for linking up with us at #OMHGWW! Thank you so much Alice and I’m thrilled to learn you are using some of these too. Such a great way to reuse items before letting them go. Thanks for stopping by.